This deep-reaching, ash-handled, two-pronged hand weeder can break up even the heaviest soils allowing easy removal of deep rooted weeds. 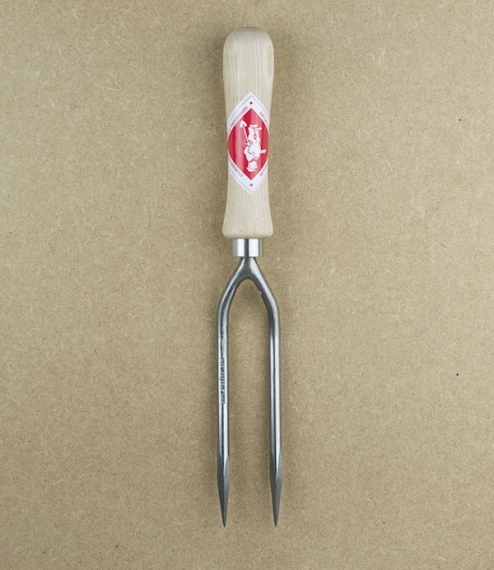 Sneeboer began manufacturing garden tools in 1913. Originally designed to withstand the rigours of daily use by the professional horticulturalists of West-Friesland, and still forged, ground, and assembled entirely by hand, they offer the home or allotment gardener tools of rare and exceptional quality.